Well here we are, Saturday night, 10:00pm, and I’m…in bed. People. I am turning into an old fogey. Seriously. Pretty soon I’m going to be eating tapioca and wearing Depends! But honestly, that has been one of the bigger changes since coming home to help my mom post-stroke: Going to bed early. No joke. On a typical Saturday night in NYC, my night doesn’t begin until midnight. Literally. My friends and I would meet at a bar around 11:30, and then be out until 4:00am. Now, you’re lucky if I can stay up to watch the evening news. But one of the things I am loving about being home is the nighttime chats my mom and I have before bed. Growing up, that was always something we did…have these beautiful conversations about everything from boys, to friends, to God, to the future. And now, it’s pretty awesome to be able to do that again, but this time as two adults. I’m telling you…God has been so generous with me, here, since I have been home. In a lot of ways, obviously. But specifically, in how He’s revealed to me just how much I have “learned” or “grown” since my anorexia, and in particular, how it has formed much of my inner-most thoughts and beliefs…in a good way. Tonight, during our nighttime chat, my heart became so overwhelmed with just this sense of compassion for my mom. Compassion because, all of a sudden, I realized that her journey in recovering from her stroke mirrors in a lot of ways my recovery from anorexia. Maybe not in the physical sense, but in the mental sense. 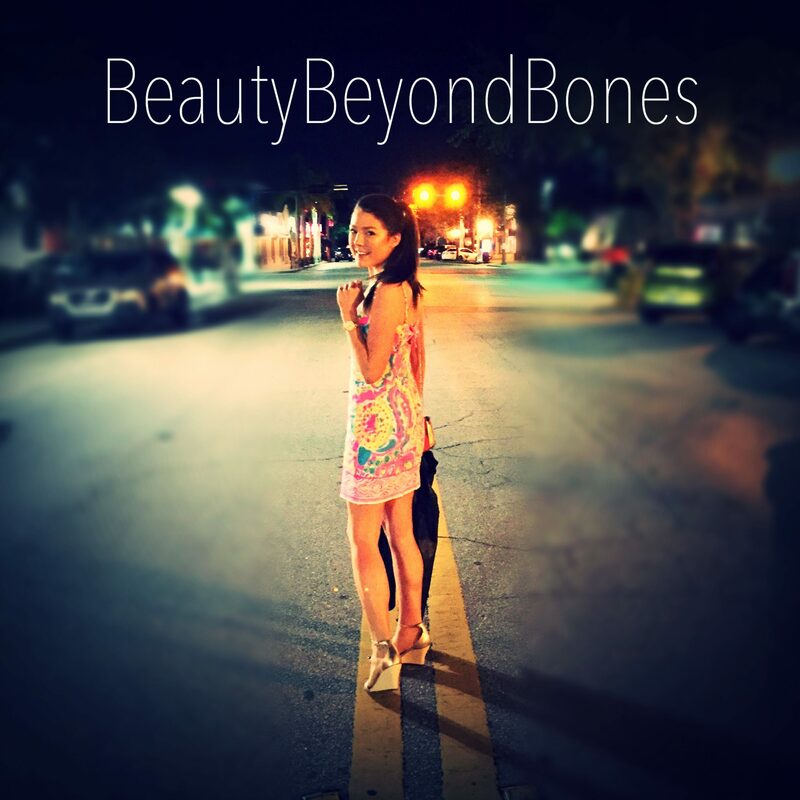 My journey to a truly full recovery where I was living free and abundantly, happened only when I realized my worth. And where it came from. I was finding my worth in my appearance, or the perfect “this or that.” I believed to my core that my worth had to be earned. And that since I wasn’t “perfect,” I was unworthy of love. My mom said something to me tonight that brought me to a familiar place. A place that I knew all too well. And I knew that I needed to share with her something that I’ve had to learn and relearn and relearn just about every week. And I think the best way to express it, is to just share with you exactly what I said to her. Because maybe, just maybe, this will resonate with even one person, too. I said, Mom, you don’t need to be better tomorrow. Even if this is as much of your memory you get back or if this is as far in the recovery process as you get, it doesn’t matter. Because I love you just as you are right now. You don’t have to “progress” to a certain level or reach a certain standard of “better.” Your worth is in you being you. As you are in this very moment. It’s the same as it was a year ago, the day you had your stroke, yesterday and tomorrow. I love you no matter what. You don’t have to be “better” tomorrow. And I realized, just how similar these paths of recovery are. There are few times…very few times…when I can look back at my time battling anorexia in my youth, and be grateful for it. Granted, not for the hair loss, or the shattered relationships, or my flirtation with death – literally. But there are a few times when I realize that I am actually grateful for the lessons that I’ve had to learn the hard way. And tonight was one of those nights. When that core belief that has shaped who I am today, and that was learned and formed through fire, made me grateful for having gone through those dark days so many years ago. And I kind of smiled at God tonight, and thanked Him that I had that experience to draw on to relate to my mom and have empathy for what she’s going through. Every season of life, no matter how difficult, produces fruit. And this was really the first time that I could take the “fruit” from that period of darkness in my past, and pick one off the tree and give it to someone else. Strokes are hard because there’s so much focus on your ‘progress.’ How much do you remember today? How did you perform on the speech exercises? What do you have to offer to the conversation. There’s an obscene amount of value and worth placed on your ability to do or say certain things. Things that are hard, because they target the location in the “dead area” of your brain that died during the stroke. Who knows, maybe I’m way off base on this and reading too much into it, but it was just an overwhelming feeling that I needed to share that with her. And I guess, with you, too. One of the cool things about families and communities, is that everybody brings something to the table. And perhaps, this is mine. What about you? What’s something that you’ve learned that has shaped your core being? Maybe, just maybe, it will resonate with someone who needs to hear it, too? Quick! Quick! Pretend you’re not crying…pretend you’re not crying!!!! 😛 Gosh darn it girl. I teared up when you told your mum that she doesn’t have to get better, that she’s perfect at her current point in recovery. And then when you talked about handing your fruit to other people…I just can’t right now. THE FEELS!!! XD Excuse me while I console my self. ❤😘❤😘❤😘hope you’re having a nice Monday! Right now, this very moment in my life, I’m am learning that God’s arms are strong, that His grip is powerful, that He has me in His hands and He is NOT going to drop me. It’s a lesson in radical trust … faith, every minute of each day, every step along the way without allowing doubt, worry and fear overcome me. And it’s a tough lesson to be learning! But I have to believe that it is absolutely worth it. You’re certainly welcome, and thank YOU for such an inspirational article! Hugs back, lady. Linked to my site, too. God keep you dear. But seriously…what amazing grace you showed your mom. You were Christ to her right there. If only we could all accept the same grace for ourselves. God’s been really working on the “have to earn it” part of me lately. I resonate with that. I pray that change will stick for all of us. Oh, interesting. What kind of video? I should probably have guessed that. What you said to your mum is really powerful. 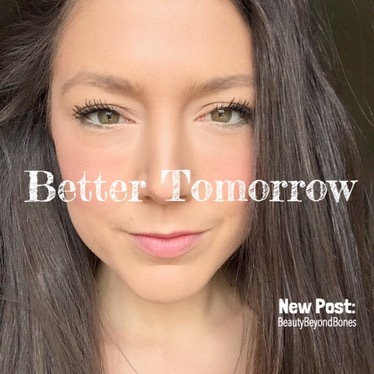 I totally recognise the concept of always feeling the need to be “better tomorrow” as if people are waiting for you to do better/feel better/be better/act better. I’m sure your mum will have valued what you said SO much, and even more so, given how you learnt that lesson. What a beautiful thing to tell her! I can’t even imagine how much she must have appreciated hearing that from you. Wow, love this – as a girl whose mama is her BFF, this definitely struck a chord within me. Wishing your mommy a good, steady recovery – and glad that you’re soaking up every moment with her! I took care of my father through a number of years, in and out of the hospital for months on end. So much so that he’d refer to the times he was in as times ‘we’ were in the hospital. I’ve written about it and have more to write, but as exhausting and all-encompassing as it was, no regrets. Thank you so much for this. You made me smile and feel so much better. So strong!!! This was so right on point. I was talking about valleys and mountaintops the other day and this hits it home. Your mom needed to hear that, and it will probably help her more than any medicine, therapy, or doctor, in the world, could ever have helped her. Then and there when she needed it, AND you needed it, God brought it all together, for the both of you, in a beautiful gift to share. You write beautifully. I have been writing a lot about mother-daughter journeys. Your insight is powerful. So proud of you and your family! I am diagnosed with severe recurring depression. In therapy I learn not to let my illness define me. Some days are just what they are going to be. And the next day quite the same. God is blessing you with wisdom way beyond your years…..thank you. You all are in my prayers! I absolutely believe that God can use our experiences of pain and struggle to be comfort even blessing to others. Thankful He has used you to give back to your Mom. Challenges me to be more intentional about my care for my parents, even if just a quick call. But visits too; busy is not an excuse. They live in Assisted living facility. Praying for you and your Mom. I appreciate your prayers. God bless! Thank you very much for sharing your words. It resonates and is encouraging. Glad to read that in this difficult period with your mom, you receive togetherness and love. Very valuable. Hope she gets better soon. You have amazing depth for a young person. I watched my wife wither over the last 2 and a half years with brain cancer. Much like you, the caregiving mode taught me about the enormity of life, and even more intense, the enormity of death. I want you to know that regardless of the outcome with your Mom, (That is really in the hands of God!) your presence with her is truly a gift that is becoming more rare as our society pigeon-holes our elderly. The life lessons you learn during this time will help your soul be at peace. Your life has prepared you for this and you are incredible! I wish you peace and joy. When Laurie was not doing well I searched each day for a bit of joy to put in her life. It made a huge difference. Read “You be Peace, I’ll be Strength” in my blog. I hope it helps. I wish your Mom a full recovery but life is a temporary condition. Courage. What a wonderful time for both of you! I look back on my heart surgery fondly; it got me off my rocket and back in touch with everything and everyone. While she might not see that now, she’s experiencing that now. I hope she can see the good in having traded her stroke for some real down time with you and the rest. Sometimes something like this is the only effective breaking system we have. Neither of you will ever regret you moving home for a time, the evening talks, and the rest…even if it was over her stroke. More at Patreon. Thanks for your compliments at Patreon. Now you went and teared me up! One more comment for you back there. The only responsibility you shoulder is that of your own choices. You can’t control people, and you won’t be held accountable for what they do. You, however, will be faced with the reality of what you decide to do, say, and think in a given situation. There are two obvious choices in life: That which is wrong and that which God commands. The choice is mine, and so are the consequences, whether good or bad. By the way, your quote to your mom was encouraging. Thanks for sharing! Great post! I think you can draw a lot of comparisons between many different recovery processes. Whether it be addiction, an eating disorder, recovery from a health issue, etc. There are so many great life lessons learned in all recoveries and I think you are right that “you don’t have to be better tomorrow”. As for what I’ve learned, I’ll twist your statement a bit. If you spend each day making yourself better, helping others, and doing the next right thing, then your tomorrow will be better! Thanks! We’ll probably need it, knowing some of the challenges ahead, haha. This was beautiful. Thank you for your words. I really related to what you said to your mother. My husband was hurt last year and he has a permanent injury that has completely changed his life. I can see it in his face that he is hurting inside physically and emotionally, but he tells me he is fine. I know he’s not fine but he is still the wonderful man I married and I love him just the same. Your post touched my heart in many ways. What you said to your mother about not having to be any better than what she was right now brought tears to my eyes. How wonderful you learned this and now share this deep insight. I have a mental illness and everyone, especially me, wanted me to get “better”. Actually, the pressure I put on myself to be what I considered, “normal”, led to another breakdown. It would have been wonderful to hear someone say I was okay just the way I was. I now believe that I am fine as I am, and so does my family. I have learned a lot through therapy and it has helped me immensely, but I am also okay with not being a perfect human being with no quirks or flaws. In brief, and grace of course. And yet we can forget. I find it hard to look back and see when I did not trust. Grace extends, and we need to trust. Grace, and compassion (and compassionate action? ), can go together. I guess these are deep themes. I cried, the kindness and love you have for your mom can be felt through the words that you typed. What a great post! I love how God is using your Mom’s health to draw you two closer. I hate when bad things happen, but beauty often comes from the ashes. Hello, pretty lady! Love how you are so open, honest and raw with your readers. It is so easy to down play the messy parts of life. Your encouragement to your mom was beautiful and, hopefully, allowed her to give some grace to herself. Any type of recovery is too long and too slow for anyone going through it. How wonderful you are there to be an encourager, listener, and a loving spirit to her. I hope you, also, have someone who can be those things to you as you help your mom recover. Praying that you and your family feel God’s steadiness during this season of life. Hugs! How neat that you went to school in CO! We live on the northeastern plains aka no where near the mountains, but we love it. My husband and I were actually born and raised in southwest Nebraska – go Huskers! Yes, it was a great reminder from a loving Father that no matter what he would be my steady. And when baby boy #2 was born just two days after that, he showed again that he was in control and he showered us with much love, miracles, and small world moments. We are blessed. and Best Days give Memories! It was the biggest blessing in my life. Completely changed my heart and my direction. Absolutely beautiful! Thank your for your vulnerability & willingness to share. Much love, and wishing you happiness 😀 We all just have to remember how awesome we are just for being us, so it’s great to read your post and for myself and others to be reminded of that. Lost my mom to cancer late 2015 – – and your blog post reminded me of the point where I arrived at “we’re not going to beat this thing”. I released her from the pressure of making “progress”. I joined her in her journey, as a loving son, and not as coach who wanted to reach bench marks. Sleeping at 10 ain’t so bad, you know! You are a wonderful, marvelous, daughter of God. He loves you for life. Your past is part of your sanctification journey. Remember when God sees you, He does not see your sin or your failings, He sees His son, Jesus Christ. In caring for your mother, in sacrificing your time (which is like dying a little for her, just as I am sure she died a little for you over the years) you are being Jesus. You are picking up your cross and following Him. Just as he laid down His life for all of us, you are laying down part of your life for your mother. I think this is what you said to your mother, just in different words. Perhaps I thought of this because Julian of Norwich wrote the first book in the English language known to have been written by a woman (“Revelations of Divine Love” written around 1395), and I see elements of divine love in your caring for your mother and you are a talented writer. This is beautiful. Hugs…. and what an expression of unconditional loving. I love what you said to your mom. Aw. I see why your words touched me so deeply. I wrote a poem and it reminded my of Louise Hay’s root causes of illnesses. One of the affirmations there to heal anorexia was “I am wonderful just as I am.” I thought of your words. Hugs! I have learned that He never wastes one calorie, one memory,,,,, one anything. You have been picking “fruit” in every word you have ever written in this blog. And in this post I hope you finally realised how full your harvest is – always. For no other reason than you are you (as you expressed to your mum so wonderfully). I could not agree more. Thank you for the lovely reminder. And i am happy for you that you get to have these precious times with your mother! Eloquently put and an article I will remember. Thank you for writing this! Super powerful are these words: I love you just the way you are. my step dad is recovering from his first bout of chemo and radiation treatments and he has the same outlook- i’ll be better soon. this was so encouraging and comforting to learn and hear a new way to speak to him and remind him that we love him whether he is bald and coughing on the couch or if he is planting flowers in the garden all afternoon. we obviously prefer that he get to run around in his back yard, but we will love him if all he can do is sit. girl- he is FREE OF CANCER! we got the call a couple of weeks ago and he is now just in recovery mode from the bronchitis and pneumonia that came with it, as well as working on his own strength to get back to normal. God is so incredibly good! PRAISE GOD!!!! Oh my gosh that just brought a tear to my eye. That is so so great. Congratulations. Amen. God is good! i cant even tell you. I got the text message on my lunch break and i was sobbing in a gas station parking lot. He is SO GOOD. You really touched a LOT of hearts with this post. I had to scroll down through many, many, many comments to get to this reply box and tell you how you blessed me. All I want to say is thank you for giving your mom grace and encouragement and helping her to live one day at a time without fear of failure. Thank you for sharing it with us your fellow travelers in life. We all need that encouragement to know that we are loved unconditionally. That is why knowing and following Jesus is all important. God bless you and your mom. What a powerful post! It’s so good to read/hear/learn of real examples of God’s promises being true. As I’ve said in recent years, “God never wastes a tear.” It took a while, and your investments were considerable, but the fruit, when ripe, was worth the wait, wasn’t it? Powerful post. There’s so much in this piece that you’ve shared that resonates with me, so very, very much. My grandmother (and others) told me our experiences, good or bad, are never only for us but gto encourage others. This is a poem by Steve Stockman, from one of my favourite albums ‘Grace Notes’ by Steve Stockman and Sam Hill. And more eternal than the one we’re on. I’m soooooo glad for you, for all God is doing for you, for such grace that covers your family, for this journey that you’re on, and that by His great help, you’ll stay on, further in and further up. Don’t leave any stone unturned, it’s always well worth it to look for Him. I know very well the fear of what may lie ahead, but many things that we do, not the least being writing these blogs, keep our eyes on Him. And He knows and loves those faltering steps we take blindly holding His hand, and in the end, it’s worth it, many times over. Many blessings, and much love to your parents along with our prayers. Totally agree. As I continue my trek through my adult years, I’ve always tried to maintain the outlook you describe so well. Many of the adventures we experience in mortality come in very handy when we have opportunities to lift others in need. Just as God has sent people to my life when I needed some lifting. We are a community of God’s children. I believe that the struggles I have in this life are, in part, there so I can help others with similar struggles. Most of all, the struggles allow me to empathize and more fully express my love for those around me. We all struggle through this life, looking for the moments of joy along the way. I can’t get into details but I’ve been around death quite a bit. It might contribute for my appreciation for the darker side of things honestly. . . .goth and what not. Suicide and suicide attempts of the ones you love can change you. Others’ illnesses and my own battle with type 1 haven’t settled within me as with other people. I am not the same as I was before. I struggled with God and then I feel my faith strengthened. I got “til the love runs out” tattooed. It’s from the song “Love runs out” by one Republic. It’s about God being there and being accepting of God’s Will. That little speech (for lack of a better word) was right on. Such wisdom. On the one hand I am sorry you had to live through the torment and hell of anorexia, but, on the other hand I am so happy for you that you were strong enough and ARE strong enough to have pulled through it to now be in a position to teach others. That is a gift. And I am hopeful that your mother was able to receive the message and do something with it. My contribution has seemingly always been to give my undivided attention to someone when they are talking. Even in a crowd of people, the person speaking will somehow find me and focus their attention on me when they speak as if I have some gift of listening. And it matters not what “class” or person it is – I could be talking to a honmeless man or lady, or, I could be talking to the head of a company, or some famous movie star. We get along like we’ve been friends for years. So that is my contribution I guess. You’re awesome, you know that, right? That’s a truly great way to look at our lives in general and you’re right. This is wisdom. Thank you for sharing with us gorgeous friend. It’s amazing to keep learning. I think we just need to be open so we can see the blessings, even those in disguise. Actually, this ‘old fogey’ is often up way past midnight as well, without depends, reading your blog, lol. I’ve been fighting with myself to accept who I am- who God made me to be. I’m just now beginning to burn the bridges of insecurities and walk into the ‘Total Man’. Thanks for reminding me that God doesn’t want us to be perfect and He doesn’t expect us to be. He wants us to be willing to be used by Him – even in our imperfections! He’s using you to touch many lives thru your writing. Like I tell myself these days, I’ll tell you – DON’T QUIT. God bless you ! Very nice words to your mother, more so because I know you firmly believe them. Thank you for sharing. One of my friends went through a very difficult situation at one point in her life – something that she would never wish on anyone. But she said that she is grateful that she went through it because of what God did through it. I love that you are able to say the same thing. There is so much truth in Romans 8:28, “And we know that God causes everything to work together for the good of those who love God and are called according to his purposes.” Thank you for your encouragement. I have nominated you for the Blogger Recognition Award. I really relate to what you say about feeling the need to be perfect to be loved. It’s the primary motivation behind my own struggles as well. I’d say I’ve learned to stop comparing myself to other people. God made us to be unique with our own strengths and weakness, quirks and flaws. Being who you are is incredibly important. Love the lesson here… one thing I’m learning in this season is that even as I wait for that better tomorrow, I have to realise that I’m actually good today. This is who I am right now; this is where I am. I will love and embrace what exists today even as I hope for something better tomorrow. If I don’t appreciate today, I won’t be content with whatever comes tomorrow. Great post! I am going through a very difficult time at this juncture of my life. One of the biggest lessons I’ve learned, no matter how much you try to keep life together, there is always a new lesson to be learned. Trials an tribulations has a way of showing up when you least expect it. But at the end of that trial, God has given you the strength and courage to persevere.😊 Moving forward and praising him through the storms of life ultimately gets you to a place of peace and understanding. As you look back, you thank God for the lessons learned. How awesome to be able to share the wisdom that God has given you. And such an encouragement for your mother. This is such a beautiful insight. It certainly blessed me. Fantastic post and a wonderful testament that respects both you and your journey and your mother and hers. It was an honor reading this deeply personal post. When I looked back on my life to identify a time when I learned a lesson that significantly changed my outlook, I returned to about a year ago when my father passed away. His story wasn’t uniquely tragic, frankly, he was an older man whose life offered me many models of poor healthy behavior, but nothing too dramatic. He just ate at McDonalds more than he should have and didn’t exercise enough. However, me and my brother both grew up with pretty bad anxiety and insecurity. We both learned to mask this with sarcasm and wit, because they got laughs. However, it also kept people at bay and more significantly, hurt our closest humans, including each other. When my dad passed away we had a few epiphanies with each other, most significantly, that we were hurting, that we both had a conflicted relationship with my dad that despite our 12 year difference, was very similar. We began to talk, sincerely with one another. We began to realize that our sarcastic facades were merely armor to protect our deeply sensitive and anxious internal lives. We began to speak kindly to one another and, most importantly, we realized that we loved one another. It was a remarkable transformation and one, for me at least, that enabled the path that led me here to finally share what has been a part of my life for over 30 years: poetry. I thank you for sharing this reflection on your life, your recovery, and your mother. May you long continue to be both masterpiece and a work in progress! Thank you for your kindness. I invite you to explore my blog as well, many of the poems are about healing and I hope they can offer you a perspective that you can use from time to time. Take care! This reflection of is so full of love. Bravo to you for seeing the connection between your life struggles and your mother’s struggles. We don’t have to earn love. God has always loved us unconditionally. You chose to love your mother this way freeing her from having to earn your love, What a wonderful story to share with others. I’ve learned in my own life and understanding of the Trinity in my life is that every single experience I had, small or great, and good and bad, were all necessary to get me to the blessed life I have today and will have tomorrow. I learned that there are no mistakes in my life — only consequences that made me stronger and better. I believe the same holds true for you. Without your past, you wouldn’t be writing these awesome BLOGs, which help me carry on in my acting career and give me a new and fresh perspective in the challenges of my own life. You see, IMO, the Trinity is communicating to me through you. Thank you for your honesty and courage for discussing stuff that help me and stuff that people are usually to proud or afraid to share. I will be in my crib in Manhattan in a few weeks for a film production meeting with Paramount Studios — I will check in with you, and we can hit Roses at the Time Warner Building — until then, keep being great! Thank you for sharing this. Your stories remind me of my own journey searching for my self worth. Someone gave me the advice that you gave to your mom once a few years ago, but the way that you said it really resonated with me tonight. Thank you for sharing that moment, it was the reminder I needed. Best wishes for you and your mother. Enjoy every moment you have with her. I’m so so sorry for what your mum, you and your family are suffering. I can only imagine the pain and fear. God is your “stronghold, the rock in whom you trust” and He will shelter you under His wings. Your loving patient faith is allowing His light to shine into the darkness of uncertainty and loss you and your mum are in at the moment. You are a gift to her. May the Lord give you strength each moment. May Mary, Mother of Jesus, who He gave to us at the Cross as Mother of the Church, hold you tenderly close to Her Son. We are His Body. When we suffer we are united with Him in His suffering – and in His love being poured out, because His Cross was not death but love and life poured out for us. You show precious care and love for your mum. What a great help and joy to her and your family to have you there. What you wrote in this post means so much to me. What you said to your mum, how my heart has wished (selfish as I am I admit freely) that someone would say this to me. I have several physical and mental health conditions. I am weak right now. I don’t know what’s coming. Very often I can’t be “better tomorrow”. I can’t do what others close to me desperately need me to. I can’t “move forward” on the paths they think I should follow and I have disappointed and hurt them because following support they’ve given me in the past I can’t accomplish the things they feel I should as a result, and to them that’s a moral failure to use gifts I’ve been given and ungrateful and irresponsible. It both hurts me in itself because it makes me a failure or a fraud, and hurts (selfishly again) because I really needed them to be there even if I don’t get “better tomorrow”. And I hurt for them because I know they’re angry, disappointed, upset, I’ve let them down, they can’t accept what my situation is right now. Your words really helped to hear and made me feel not alone. Through God’s eyes now is okay. Now is how He is coming into my heart. Now is right where He needs me to answer Him, call for Him… I can be loved even if I’m not better tomorrow. Please may I link to this post in my own blog? Silver linings in what must have started off as an intense time.. God’s strength.. I don’t know why you deleted that Valentine’s Day post, but it was both charming and romantic. Where are people like you in Australia? Someone who loves loving. Not sure. But as a hopelessly single man, who — in my defence — have seen unpleasant dating experience despite my innocent intentions to love someone unconditionally, I feel your pain. Very heartfelt post! Thanks for the support on my blog by the way. Your posts are extremely inspirational – so brave of you for sharing! This is a key theme for me to understand and own. I have lived too long in a world of achievement based self-worth. I am only now beginning to understand the idea that life is precious in itself, and those that live it, share a gorgeous gift. to be alive is to have all the opportunity in the world. Too often, we are fixated by that which we don’t have. I will wait for more from you. “I love you just as you are right now,” excellent! That’s the sincerest love, unconditional love, Godly love. After reading “Late Bloomer” and then this one, I would say, you’re ready for a committed relationship. However, the whole looking for a Brad Pitt-type….not so much unconditional love. 🙂 You’re either setting expectations too high that a poor guy can’t reach OR you’ve set the goal too low because most of the time, guys that are drop-dead gorgeous are usually shallow and full of themselves, they would not possess this unconditional love! Thank you so much for posting. i am going through a tough time lately and it was great to hear about your time with your Mum. Your words are good. They meant a lot to me and i need to believe I will look back on this time on my life with gratitude. Wow – just wow. I have read a few of your posts now and I have to say that you are wise beyond your years. You have experienced life in the big city and in a more rural setting and have brought to the table the best of both worlds. God has a plan for you but remember – it’s the journey. That journey is yours and yours alone. Learned lessons often pave the way. Keep your head up, along with your standards. Keep loving and looking always remaining thankful for each day that God has given. You are truly inspirational. Carolyn this is just so beautiful and so true. I wish we could get handed compassion in some big ‘ole parcel but it really is life and often harsh experiences which seem to teach us the most about compassion.